A few words about our escape to Nevis since it is minus a million degrees here today. 10,000 people and 11,000 monkeys. Countless goats, sheep, cows and donkeys. What can be bad about an island with those stats? 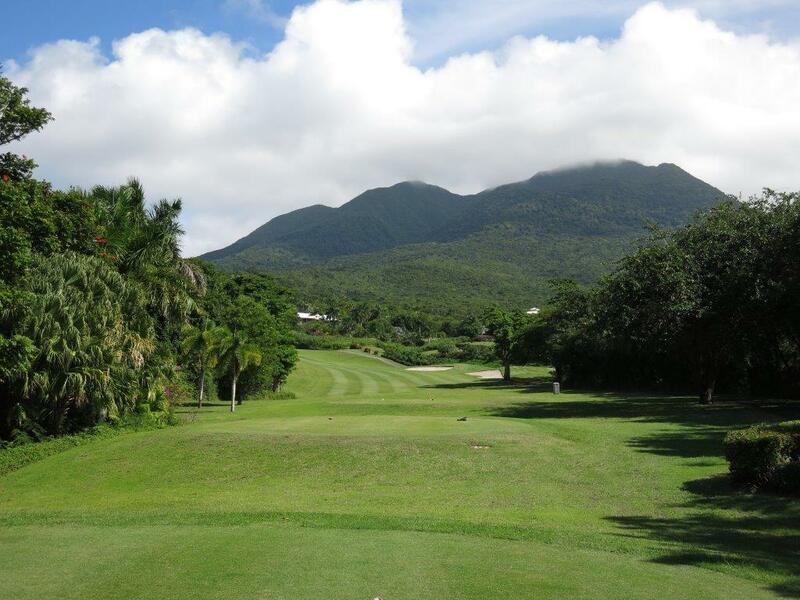 Nevis is unlike any other Caribbean paradise. It is slower. Calmer. Less of a “scene”, which is much more my “scene”! We spent a week at The Golden Rock Inn. It has figured out how to do the “boutique hotel” thing, beautifully. It is charming, and completely unpretentious, but understands the important things, like having great mattresses. Picturesque doesn’t begin to describe the setting. The food is really excellent – as I write I am craving a slice of pumpkin “sweet bread”. The facilities are well maintained, but if you are looking for a “resort”, this isn’t it. For me, that is a compliment. I am not a good resort “camper”. A rental car is key, unless you are happy just hanging out. The staff is friendly, very attentive, and they really give each guest personal attention. A highlight for all of us was the “Source” hike. 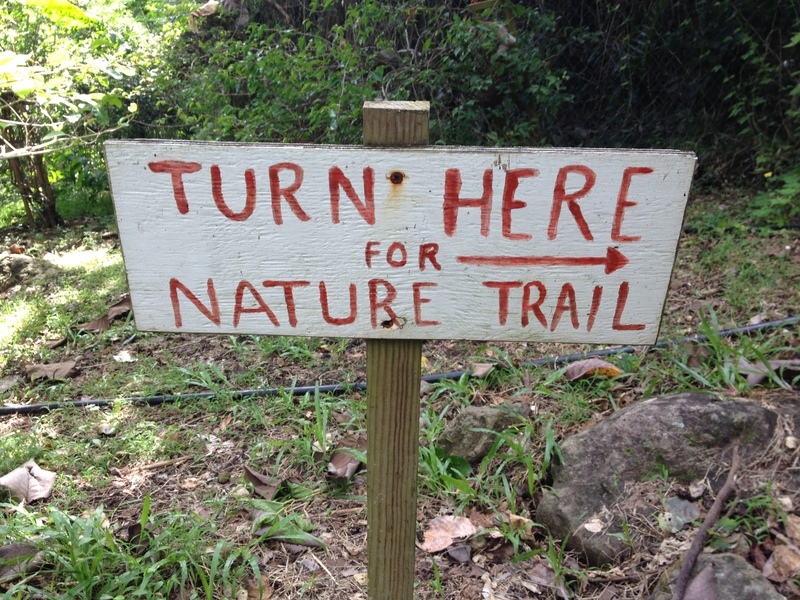 The trail begins at the hotel and goes through the rainforest to the source of water that established the island. It was a hot, steep hike that we will all remember. Maps are available at Golden Rock’s office. The hike takes a few hours. We ran out of time before we got to the more challenging Peak hike. Next time! Beaches on Nevis are nice. Not stellar, but nice. Some are on the Atlantic side, and some are on the Caribbean. The Atlantic beaches are beautiful, but were very windy when we were there. The Caribbean is protected and the water is warmer and calmer. Bananas restaurant is a bit if an act of faith to find, but the food is delicious. Directions are pretty vague on the island, and little signs are key. We found the Yachtsman to be the perfect beach hangout. We set ourselves up on their beach, drank and ate, and had a great time. Wine prices are surprisingly fabulous. Really. As in, at cost. The Four Seasons looks nice, but it isn’t very welcoming to non-guests. Their golf course is magnificent and open to all. 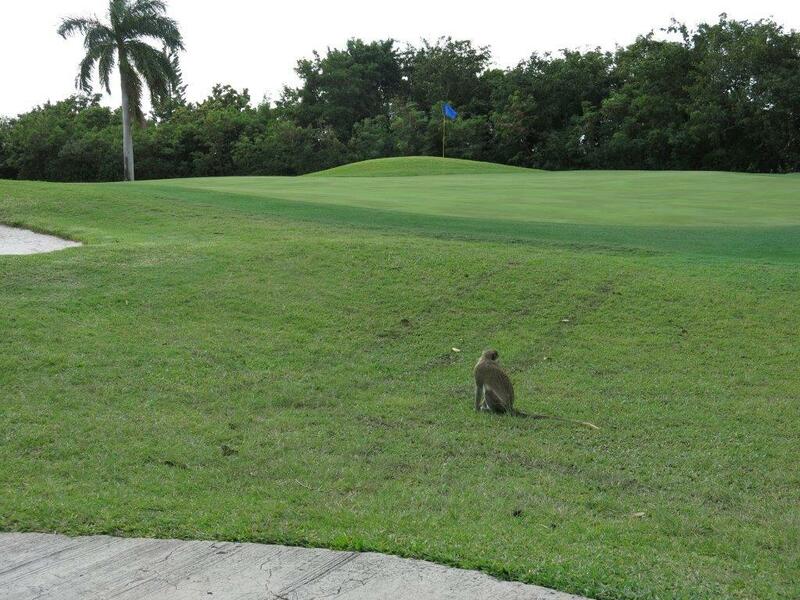 The course is challenging, and the many monkeys on the 14th green were kind enough to reserve comment on our game. What makes Jamaica’s grapefruit soda better? a healthy shot of rum! CSR (Cane Spirit Rothchild) is the rum of choice in Nevis, but I am guessing it will taste great with any white rum. Directions? Pour some Ting in a glass with ice. Add rum. Stir and enjoy! Combine ingredients and pour into a glass filled with ice. Close your eyes and imagine you are on a beach. Posted in travel and tagged caribbean, colada, food, Golen Rock Inn, island, Nevis on January 7, 2014 by foodicity.